Making the most of your outdoor space may start with great landscaping, but have you also considered adding a custom deck by hiring a deck builder? Of course, if you can swing a hammer, you may think you could build your own deck and you have that option-but even if you are a "do-it-yourselfer", hiring a qualified and skilled deck designer may be a better solution. Trinity Construction and Development have serviced a long list of satisfied homeowners throughout the southern New Hampshire area who turned to us for our deck designer expertise. 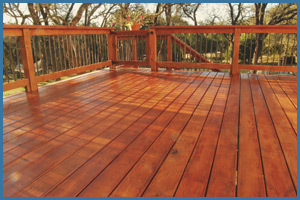 As deck contractors who are entrusted with your project, rest assured knowing that we take great pride in our work, and will continually strive for complete satisfaction. From the small and simple deck attached to a ranch to a more expansive multi-tiered deck that enhances the look of a contemporary home, as a highly skilled deck builder, we can build anything you can envision for your custom deck. Hiring an experienced deck designer will give you the advantage of having options to create something unique, functional and aesthetically-pleasing. Added-value: Creating an additional outdoor recreational area of your home is not only advantageous for you and your family, but potentially for future homebuyers. 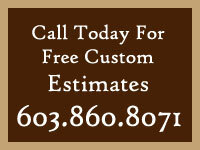 We start the process with a visit to your home to discuss your custom decks project. This gives us the opportunity to assess your needs, style, and budget. Not sure which style works best for you? As an experienced deck designer, we have built a portfolio of deck additions for you to browse, and will also provide you with other deck design options from which to choose. We pride ourselves on staying on top of current building trends and will offer you a selection of materials to choose for your custom deck. Depending on your needs and maintenance goals, as your deck builders, we'll recommend materials that work best for your scenario. Perhaps you prefer a low-maintenance deck then we may suggest a composite decking material. Or you could be a homeowner who leans more towards traditional materials like mahogany or fir. Our reputation as a deck designer is built on treating each customer as a top priority. Throughout the custom deck project you will receive an unsurpassed level of attention from a deck contractor who cares about your business.